Sheehan, who has three decades of news, PR and online content management experience, was previously the managing editor at PRWeb and the publications editor at the Office of University Communications at Western Washington University. "It was time to put some different letters after my name again," said Sheehan, a prolific SCRABBLE player who can occasionally be found hustling games on Scrabulous.com. "Moving from WWU to PRWeb, I traded in a few letters, traveled about 10 miles south on Interstate-5 and found a new home at SPIE headquarters in Bellingham." 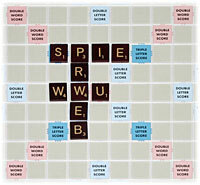 "It's all about managing your (SCRABBLE letter) rack," said Sheehan, now using the letters BS, MA, ME, SPIE after her name. SPIE is an international society advancing an interdisciplinary approach to the science and application of light. It has 162 employees in Bellingham and also operates a Newsroom with the latest optics and photonics news and technical articles for scientists and others involved in such industries as medical imaging, signal processing, nano lithography, lasers, remote sensing, solar energy and holographics. Sheehan said she was excited about putting her print and online news content and management skills to use for this non-profit organization on the bleeding edge of the latest in optical and photonic technology. 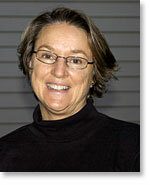 She noted that her lifetime companion, Chuck Dingee, has been interested in the science of light for many years, particularly holography, and has worked on SPIE's Web site for many years as president of Media Synergy.